I wish I had read this book many years ago. It gives logical, statistical, scientific support for some of my marketing ideas and theories and it’s opened my eyes to many issues about creative thinking and innovation. You can quickly summarise these three laws into a glib statement. Success comes to products that offer a unique, believable benefit to customers. Huh! Nothing special about that is there? Well actually I think there is. And if you start looking at advertisements and promotions, you’ll start noticing how often these three laws are broken. But when you see the three combine for a product or service that fits your wants and needs, the marketing becomes magnetic. The author’s staff have done a lot of research in what creates successful products and the statistics on the differences between low, medium and high ratings on the three laws are startling. What initially sounds like marketing 101 becomes much, much more. 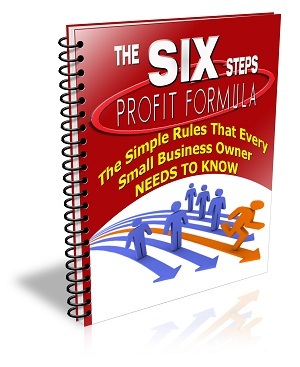 The chapters on these marketing laws going into detailed processes for how you can implement them in your business. You’ll see a lot about benefits in many marketing books. Reasons to believe are often underplayed and that’s crazy. They come up big in my article on lead conversion. If you are a regular reader of this or my other blogs, you’ll know that I’m keen to encourage you to create more differentiation. I like the urging of Doug Hill to be dramatically different. Personally I’d have liked to have seen more examples and analysis of the marketing campaigns. The book starts with a short quiz as you are asked to select which products are likely to be the most successful. It would have been nice to have seen another quiz after reading the sessions and an analysis. I also feel that there might be a fourth law that is missing. Perhaps it’s embedded in the overt benefits but I do wonder whether without focusing on the pain of the problem, you miss out on the vital motivation that creates actions. Can you create worthy products that no one really wants and is willing to pay for? I don’t know. Perhaps I’m feeling some resistance between the aspects of the book I agree with and my desire to understand the customer and the pain of the problem that I need to reconcile. The more stimuli and diversity you bring into your innovation the better but you need to reduce fears if you’re going to get more and better ideas. If the marketing section was dressing up what I already knew and presenting it in a new and compelling way, the second part of the book has introduced me to ways of thinking that I’d never thought about. In fact, it made me think that I haven’t read enough about the creative innovation process. Perhaps as a non-technical person I’ve shied away but my process looks very linear compared to the spider’s web of interconnections that this creates. I don’t think the author holds back on his ideas. He’s clear with the process and advice but my mind was thinking “that all sounds like a lot of effort”. Perhaps that thinking is exactly why there are so few companies that consistently innovate ahead of the market rather than copy or make small incremental, obvious improvements to products. In some ways, the book reads as a long advertisement for Doug’s innovation business, Eureka Ranch (http://www.eurekaranch.com/). I didn’t mind that in this case because of the outstanding quality of the contents but I know some people object when a book comes across as too promotional. Their mission is “to Change The World by transforming innovation from a random art to a reliable system that delivers increased innovation speed (up to 6x) and decreased risk (30-80%)”. This is a very good book that’s easy to read, will confirm some of your thoughts and ideas and challenge you on others. It’s a book to get you thinking and hopefully to inspire action. Learn the three laws of marketing, look for how rarely they are met in advertising by other businesses and apply them to yours. Start innovating. You can be creative. Next post: Are You Enjoying The Journey To Your Vision? Previous post: What Is Business Failure? What Does Failure Mean?